While Ohio has been trending Republican for more than two decades, electing mostly Republican governors and state legislators, it is not yet fully a red state. If not quite color blind, Ohio remains purple. In November, Ohio voters overwhelmingly supported Republicans for statewide offices, but they also re-elected Democrat Sherrod Brown. In 2008 and 2012, Ohio’s electoral votes went to Barack Obama, but in 2016, they went to Donald Trump. In 2010, John Kasich won the governor’s race, but a year later, voters “overwhelmingly” supported a public referendum overturning Kasich’s attempt to dismantle public sector bargaining in Ohio. I’ve been among those noting that Democratic strategists and superpacs should not be too quick to write off the state in 2020. This is especially true given the state’s economic woes. Many Ohio workers are paying the costs of Trump’s “false promises” and the failures of former Governor Kasich’s economic programs. Trump promised to bring manufacturing back to Ohio, insisting that “companies would not be leaving anymore.” He told his supporters in economically devastated Youngstown not to sell their homes because “all those lost jobs are coming back.” The reality is quite different: last week, one of the community’s major employers, the GM Lordstown plant, closed – a loss of some 4500 jobs. Many of those displaced workers supported Trump. Will they remain loyal? There is growing doubt and Trump knows it. It’s hard to imagine that Trump’s Northeast Ohio base will be able to keep believing that he is making their region great again. 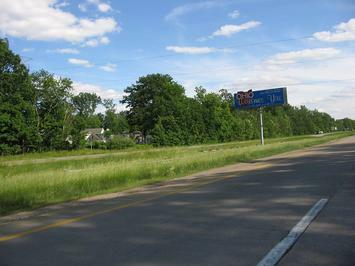 The Center for Economic Development at Cleveland State University estimates that the Lordstown closure cut the region’s economic output by $3 billion, including $270 million in wages and another $600 million in added value. The report also estimates a loss of more than $12 million in state and local tax revenue. A columnist for the Youngstown Vindicator was quick to remind its readers of the difference between Trump’s rhetoric and his policies. In a commentary headed “Thank you, Prez Obama*,” Bertram DeSouza reminded readers that Trump had advocated that GM should be allowed to go bankrupt during the “Great Recession,” criticizing Democrats and President Obama for bailing out the company – a move that kept the Lordstown plant open for another decade. Trump’s economic failures are echoed on the state level in Kasich’s so-called “Ohio Miracle.” His supply side economics, tax cuts, and austerity measures since 2010 did not jumpstart the state’s economy. Instead, they led to budget shortfalls and spending cuts to programs that helped working families, contributed to income inequality, defunded public education, and shifted tax burdens to local governments. At the same time, Kasich largely ignored the opioid crisis and the state’s deteriorating infrastructure, which is now so bad that new Governor Michael DeWine has had to ask the Republican dominated legislature to increase the gas tax. DeWine hopes to solve budget shortfalls due to tax cuts to the wealthy with a regressive tax that disproportionately impacts working and rural families. Will that draw continued support for Republicans from working-class and rural voters, or will they rebel? Even if Ohio residents voted with their pocketbooks, Democrats there face real challenges. In 2018, registered Republicans in Ohio outnumbered Democrats by 600,000. Unlike Pennsylvania, Michigan, and Wisconsin, which seem to be returning to the Democratic fold after trending to the right in 2016, Ohio is much whiter, older, less educated, and rural. While urban areas have become increasingly blue, the Republicans dominated elsewhere. So any political transformation will not be easy. As the 2018 midterms make clear, even without Trump on the ballot, Democrats will need to work hard to regain working-class and moderate Republican voters. They need to mobilize, but they also need to appeal to these voters with something more than Trump-bashing. Democrats have to offer a strong economic message with diverse appeal.